WHAT IS AN INSTALLATION PERMIT? An installation permit is issued by the Electricity Regulatory Authority and allows the holder to carry out electrical installation work. HOW CAN I TELL WHO HAS A PERMIT? An authorized Solar installer must hold a valid installation permit. 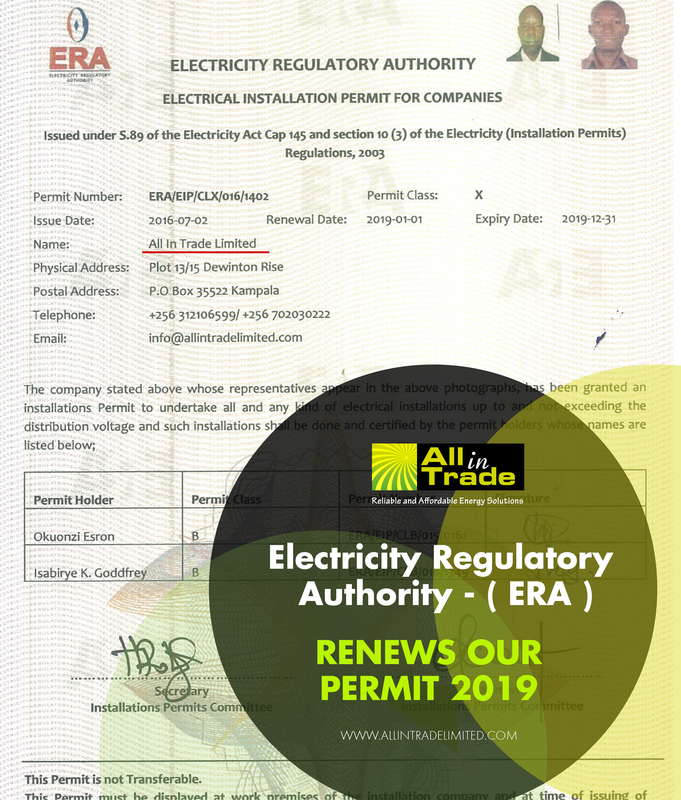 Obtaining a valid installation permit is a legal requirement in the Electricity Regulatory Authority under Section 10 of the Electricity Act 1999. A permit issued under the The Electricity (Installation Permits) Regulations, 2003 expires on the 31st day of December of the year during which it was issued. Ensure that your installer has a current permit. WHY SHOULD I HIRE AN AUTHORIZED INSTALLER? They are registered with the Electricity Authority therefore they are more reliable and trustworthy than unauthorized installers. Be sure of standard services. An authorized installer is in position to deliver quality services, improve the safety of clients and promote consumer confidence as they are working within the law.